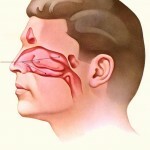 Home » Causes & Triggers » Is There A Connection between a Deviated Septum and Snoring? 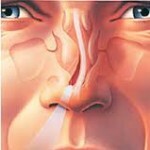 The nasal septum is the wall which divides the nasal cavity into its two halves, thus providing its shape. It is made up of a central supporting skeleton which is covered on both sides by a mucous membrane. The front portion of this is firm and bendable since it is made up of cartilage and skin. This septum when deviated results in a number of medical conditions. Snoring is caused when an obstruction in the air passageway causes normal breathing to be blocked or obstructed. When air passes through the obstruction, vibrations will be produced. These vibrations are known commonly as snores. If you are diagnosed with a deviated septum and you also notice that you snore a lot, then your deviated septum may be causing the snoring. From the above information you would have noticed that snoring occurs due to an obstruction of the nasal air passageway. A deviated septum when it is majorly deformed causes an obstruction. Thus if you notice the two symptoms together, consult a doctor for further treatment. If your snoring is caused due to a deviated septum, then you must undergo surgery. 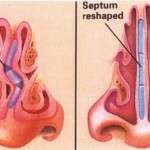 As of today there is no non-surgical cure for a deviated septum. Thus traditional medicine for snoring will not work in this case. 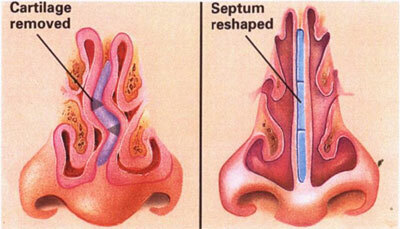 A septoplasty will correct the deviated septum, thus allowing for unobstructed flow of air. Since there is no more resistance to the flow of air, the vibrations will not be produced i.e. you will be able to sleep without snoring. 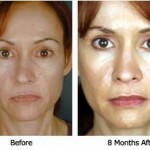 Thus it would be better to undergo the surgery and get cured completely rather than suffer from a deviated septum. Additionally this surgery is fast, relatively painless and you will be able to go home on the same day following the surgery. So even if your deviated septum causes snoring alone, it is better to undergo treatment. Happy sleeping.